Chef Enzo Fargione of Osteria Elisir in Washington, D.C., is the author of the new book Visual Eats: A Behind the Scenes Look at Modern Italian Cooking. He grew up in Torino, Italy, and has worked in the United States for many years; he is based in Washington, D.C.
Q: Why did you decide to write this book, and what do you hope readers will learn from it? A: I felt the necessity to send a clear message about my culinary experiences and knowledge, how easy it really is to cook when the passion for what you are doing is present. I wanted people to really appreciate the restaurant industry and to learn from it while reading all the behind-the-scenes stories I wrote in my book. After all, this is a colorful industry and chefs are often considered or labeled as crazy. Q: What have been the most important influences on your cooking? A: For sure my two mentors. The first one is my culinary professor back home in Italy and the second a chef I worked for many of my young years. I watched him climbing the stairs of success internationally, while delivering a sense of professionalism and pride in everything he did and in details in the kitchen. They both changed my life forever. Q: Do you have a favorite dish you like to cook? To eat? A: I get excited when I cook pasta as well as meats, fish, soups salads, you name it. What I feel whenever I step in the kitchen cannot be described in words. I don't see this as a job, to me my work is a fun playground, a vehicle that allows me to express my skills and vision of cooking while driving to unknown destinations. I often eat out and I love a great deal of well prepared Chinese food, especially Dim Sums; Mexican cuisine is a weakness of mine as well as a simple board of charcuterie and cheese with a great bottle of Super Tuscan or Brunello. Now I 'm happy! Q: How has the restaurant scene in Washington, D.C., changed over the years that you've worked there? A: Washington is a very cosmopolitan and diplomatic town. A little reserved with a European feel. I guess this is one of the reasons why I fit in here so well and I fell in love with it. Twenty-five years ago the restaurant scene in D.C. was very poor. 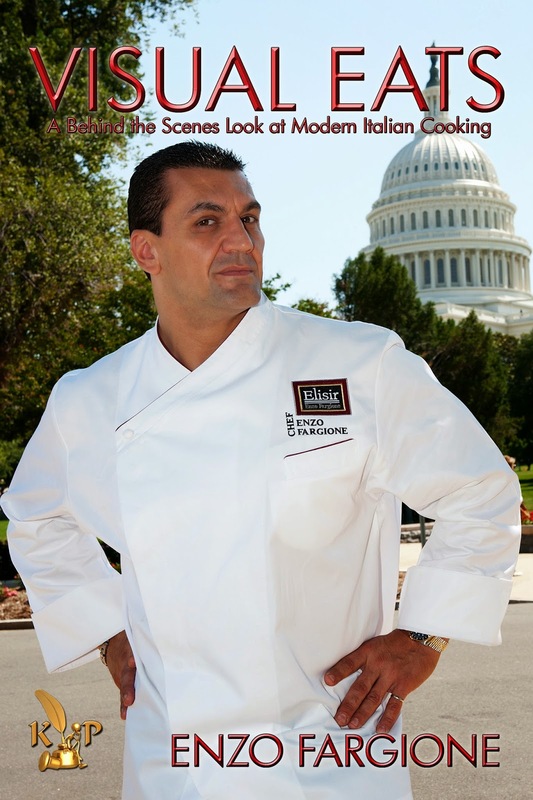 Over the years the culinary progress and the always changing trends made it possible for many great chefs to settle in Washington, bringing their quality work and their knowledge. About 10 years ago Washington finally rose to be one of the top 10 restaurant cities in the U.S., but frankly we are still a little far away if we compare it to great food cities such as Chicago, San Francisco or New York. We are on the right path; at least it is wonderful to know that nowadays it's pretty hard to have a bad meal in D.C.
A: Yes! I constantly feel the need to tell a story. I guess everyone comes to a point in their lives when you feel compelled to criticize, tell the truth and share life experiences. In my line of work there are so many injustices. Too much success, not enough, celebrity status with very little knowledge and others who hold the secret of the culinary holy grail hidden away and incapable of sharing it...so I decided to write about it involving some of the biggest international names of the culinary industry. The book is called "I Have Something To Say." A: Everything else is in my book. Laughs, recipes, real-life stories, celebrity chefs’ trips and so many odd and confusing moments I finally decided to collect them all in one book.